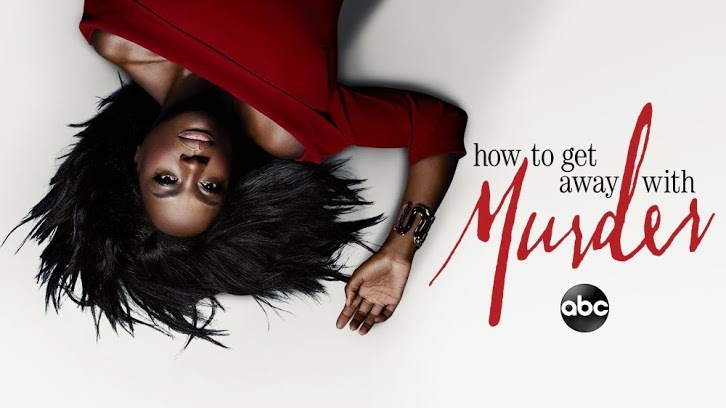 How To Get Away With Murder - Midseason Premiere Advance Preview: "Staggeringly Good"
I wasn't gentle in my criticisms of the winter finale of this season of How To Get Away With Murder. It was boring, unimpressive, and to be honest the series hasn't even crossed my mind in the past eight weeks. The midseason premiere and ninth episode of this fifth season, titled "He Betrayed Us Both" airs this Thursday on ABC. And to put it bluntly, I'm staggered at how good it is. It isn't unusual for ABC to hold back details in press releases for premieres and finales, but the press release for this episode announces the return of Tom Verica as Sam Keating. Despite all the happenings in the winter finale, including the shock death of Miller, a significant portion of this episode is dedicated to the past, and what led Gabriel to break into Annalise's home in the winter finale. Better to have no father than a bad one. The resulting flashbacks are very impressive. It's been a long time coming, but you'll understand how Gabriel fits in with everyone, and why he's done what he has done to get closer to Annalise. Laurel, Asher, Michaela, Connor and Oliver aren't left out, and share their opinions with regard to what they think happened at the wedding, and how Gabriel fits into the equation. Along with Sam, you'll see Annalise, Frank and Bonnie extensively in the flashbacks as more of their checkered past with Sam is revealed. You have more in common with your father than you knew. The performances from the cast are very good, but Verica truly leads the way. You may have seen on social media that his son features in this episode. I'll tell you it's brief, and I'll also tell you that one of Annalise's long-time friends also makes a return. Exactly who that is shall remain a mystery. John Terlesky directs only his second ever episode of HTGAWM, and does a marvellous job. The score and music choices are also remarkably good. This episode will test your memory as a viewer because much of what is touched on in the flashbacks received some attention around season 2 and 3, but despite that, if you're like me and haven't given this series any thought for a while, there's enough there to allow you to keep pace. While nothing can make up for what was a generally poor front end of this season, the back end is starting things off on the right foot which is really good to see. Thanks for reading! If you have a question, leave it in the comments below and I'll take a shot at answering it. "He Betrayed Us Both" airs Thursday January 17, 10|9c, on ABC.